Total immersion French language trips with French host families enable you to experience the daily life of a home and thereby discover French culture from the inside. The SILC family network has expanded even further in the last few months and enables us to offer stays in practically all the regions of France. Do you prefer the mountains / the town / the sea / the countryside? Selecting a choice of towns or regions when you register, SILC will do everything to find an available family to satisfy your request. 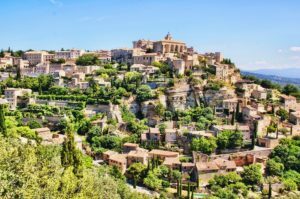 Among the “bestsellers” the Côte d’Azur, Provence and Paris are the most popular regions. You can also choose to stay in the Alps and enjoy the mountain activities with your host family, or in the countryside to relax and (re)discover the simple pleasures. for younger children, SILC guarantee the constant presence of an adult in the home: the young student is not coming here either to look after younger children or to be left alone with their smartphone. The objective is that they will share moments of life with different members of the family and that they will be able to converse in French. This programme is recommended for adolescents who are inquisitive, open-minded and relatively autonomous individuals, who demonstrate a strong motivation for meeting local people and learning about French culture. The total immersion trip is possible all year but bear in mind that host families are more available in July – August, during the Summer holidays. For those who wish to take private lessons in French, this programme is offered in the “One to One” formula: a teacher will provide 10 or 20 private lessons in French per week adapted to the student’s level and progress objectives. This is the most effective programme for progressing in the French language.